Look, we all know our green-haired murder friend The Joker isn’t your most…conventional…of hosts. He’s a little weird. A little wacky. A little—dare we say it?—off-kilter, and he’s got the expensive and painful facial tattoos to prove it. But let’s be clear: There’s plotting the destruction of an entire city via the medium of laughing fish, or deadly makeup, or whatever he’s up to this time, and then there’s being so mean to the extras on your movie that they have to go Number One on some railroad tracks. 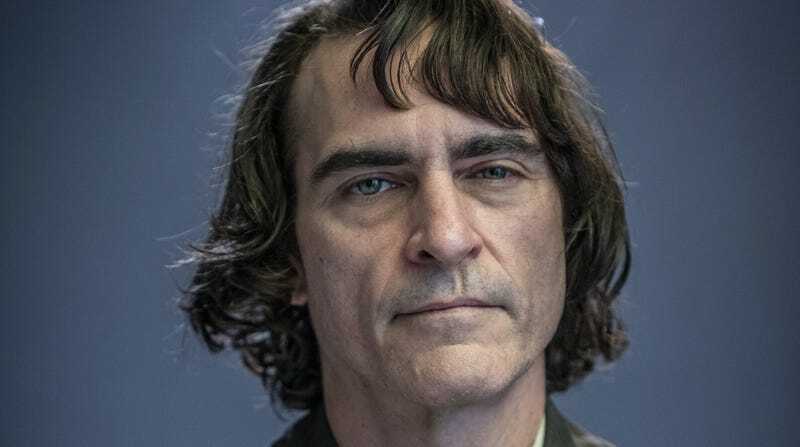 That’s apparently exactly what happened on the set of Todd Phillips and Joaquin Phoenix’s Joker movie, and we gotta say: For shame, Mr. Murdergoofs. For shame. This is per both Page Six and TMZ—the double-play of piss-based entertainment reporting—which noted that a group of extras on the set of Joker were apparently locked in a subway car during filming for more than three hours, and had their requests for union-mandated breaks ignored by production. Human biology being what it is and all, they were eventually forced to relieve themselves, and had no choice but to pee on the tracks beneath the car. Thank god the rail wasn’t electrified at the time, or we can only assume that this classic supervillain origin story would have somehow managed to spawn a third Joker movie undergoing simultaneous production, and we just don’t think our tolerance for “Disturbed” antics could take it. The Screen Actors Guild has apparently been notified of the extras’ complaints, and will reportedly continue to monitor the movie’s set.